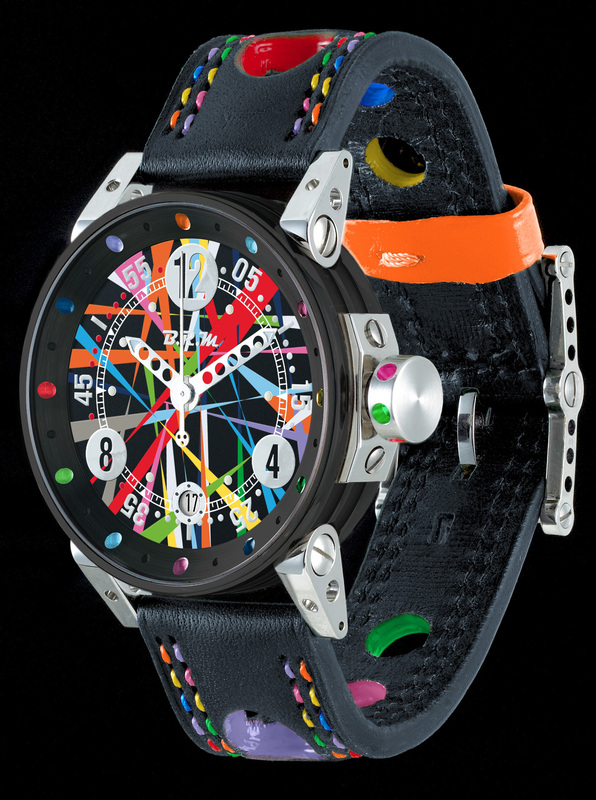 Where art meets automobiles, the watchmaker with the most racing spirit has risen to a new challenge, and can exclusively present a series of watches with dynamic, colourful designs. 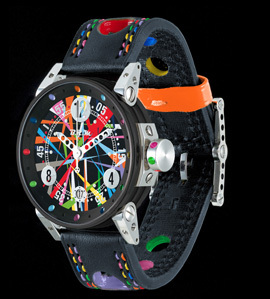 Inspired by the famous art cars and by pop art, BRM’s Art Car collection makes the most of the power of colour. 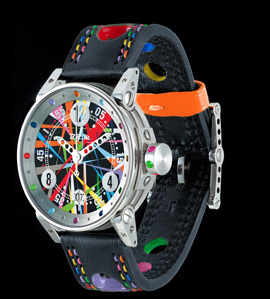 Made up of five 100-model limited editions, BRM’s Art Car models are unique authentic pieces designed for the pleasure of all fans. Don't miss out! 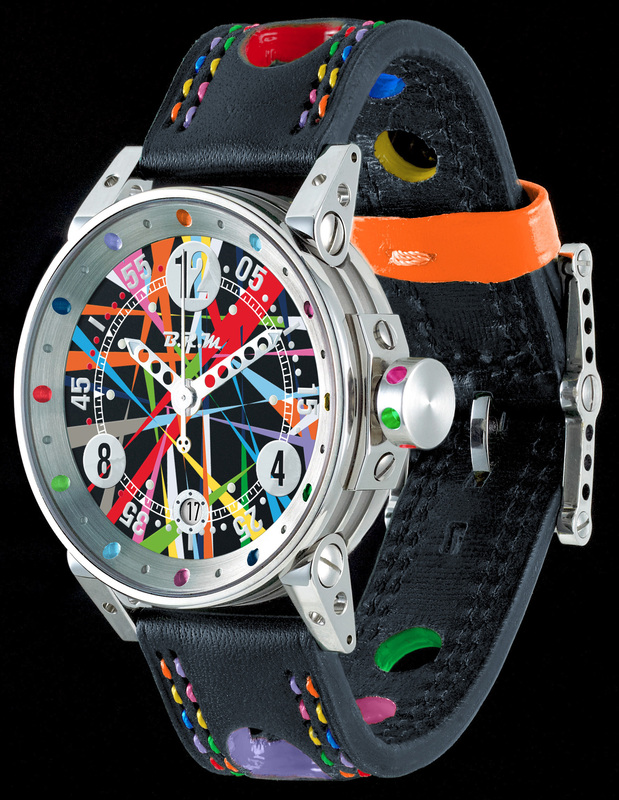 Discover the Art Car collection V3-32 model soon. 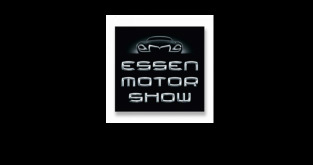 All models available from March 2016.
for an extra special Christmas! 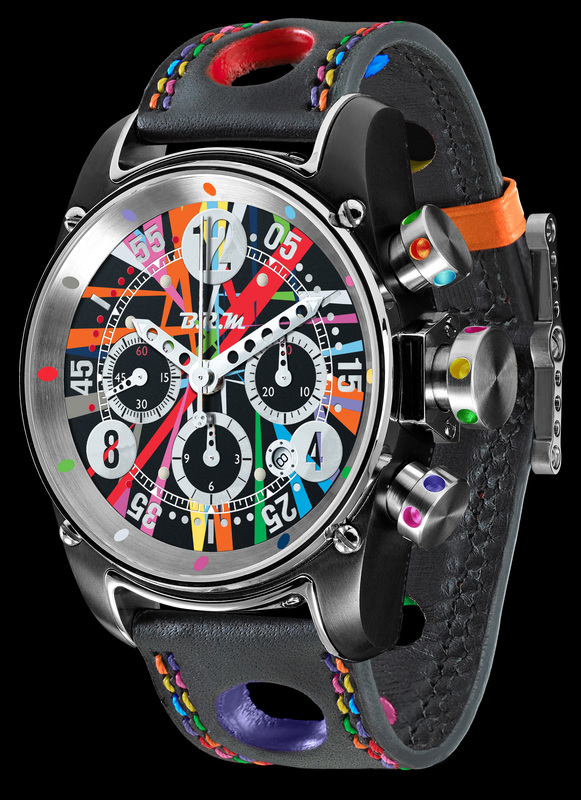 This year, leave them something special under the tree, with one of our unique timepieces! 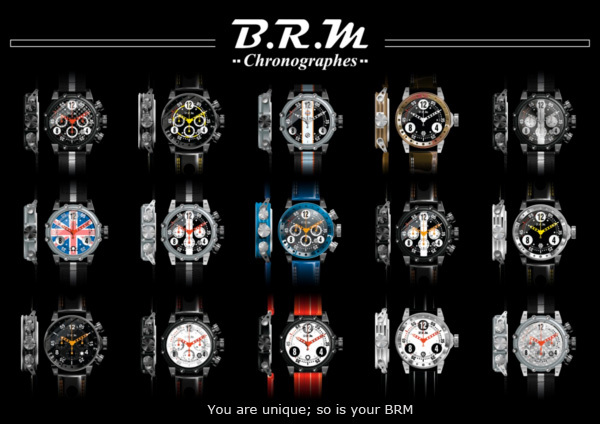 BRM Chronographes are one-of-a-kind, instantly recognisable watches which can be fully personalised thanks to BRM's innovative configuration tool which allows you to choose, build and assemble the watch of your choice from over 12,000 options; a real luxury in high-end timepieces. 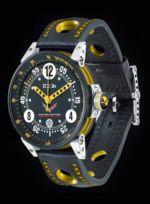 The one and only French watch manufacture BRM is delighted to give you a look behind the scenes at its unique world. 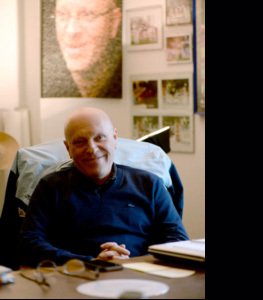 For Bernard Richards, luxury is "a focus on technical aspects and on perfection at every stage." 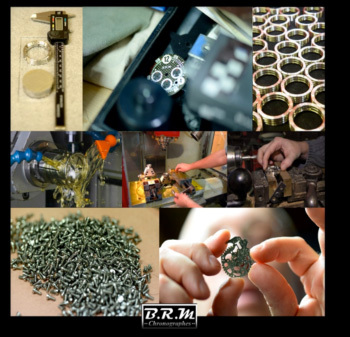 As such, at BRM we do not use stamped cases, but rather separate machining for each component, meaning that different materials can be assembled (cases: grey or black PVD titanium and brushed, black PVD, black PVD brushed or polished stainless steel; lugs, pushers and crowns in grey or black PVD stainless steel). 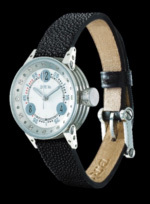 The cases are machined in bars of titanium or stainless steel 3m long, while most other watchmakers use a single stamping press to adjust a piece 16-18mm deep. This technical virtuosity can be expressed in figures, with a case being made up of 18 different components, while a standard case would have only two or three. 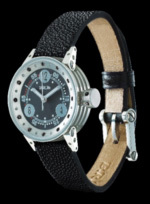 This makes BRM's watches stand out from the crowd. Don't miss our next newsletter for the chance to learn more about BRM's casing up process! Will Palmer is a young British driver aged just 18. 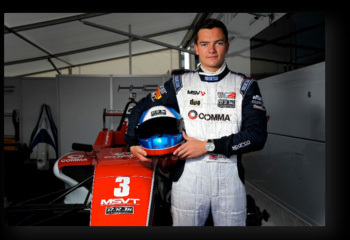 He drives single-seaters and has already achieved results that are not going unnoticed in the world of motorsports. He made his debut in 2011 at the Ginetta Junior Championship, where the next year he achieved 11 top ten finishes. 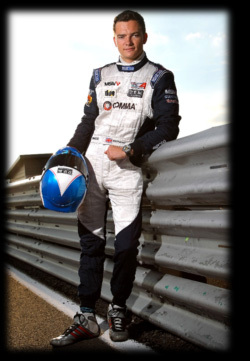 In 2013, he finished third in the championship, and also took part in the BRDC F4 Winter Series, in which he finished fourth, with a win and a podium finish. 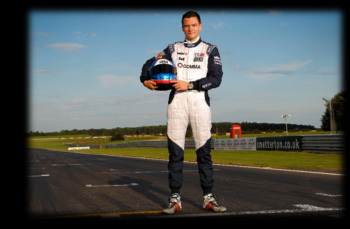 Having gained this experience, in 2014 the young driver won his first title in the BRDC F4 Winter Series, and came sixth in the BRDC F4 Championship with two wins and five podium finishes. Nothing if not determined, he stood out on the track in 2015 with 12 wins, three other podium finishes, 10 pole positions, 15 best laps and to finish the season, nothing less than the BRDC F4 Championship title! 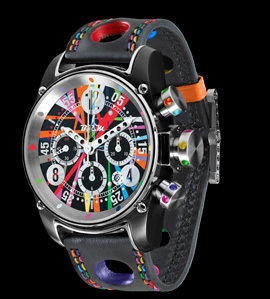 A passion for motorsports, the spirit of competition and perfectionism are all traits that BRM Chronographes and this promising young driver have in common, and they have chosen to bring their liveries together! Which competitions do you drive in? This year I competed in BRDC Formula 4. It’s a UK-based single-seater championship with drivers from all around the world, meaning it’s always very competitive. The cars all use the same tyres, chassis and engine, which means the racing is always great fun, as everyone is so evenly matched. The championship is in its third year now, and has already proved a great springboard for the careers of many drivers now racing in international series. I also competed in one round of the Formula Renault Eurocup, which is a fiercely competitive European single-seater series, often with grids of over thirty cars. What are your results this season? How do you feel about them? This is my second year of BRDC F4, and having won the Winter Series last year, coming into the season the title was the only goal. I’m delighted to say that we managed to win the championship with three races still to go, having taken a record breaking 12 wins out of 24 races. In my one off round in the Formula Renault Eurocup, I was really happy to take two top 10 finishes in my first taste of international racing. This was enough to finish as the top rookie in the last race (drivers in their first year of Formula Renault Eurocup), and therefore meant I got onto the podium. What are your objectives for next season? For next season, we are hoping to move into European competition in either GP3 or European Formula 3. There is a prize GP3 test in Abu Dhabi in December for the BRDC F4 champion, and I will also be testing F3 over the winter to evaluate both series. You are a BRM partner now. A word about this partnership? 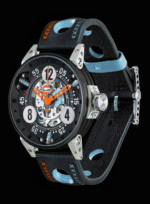 I’m really proud to be a partner to BRM - they are a fantastic company that makes unique and well-designed watches, and I love the motorsport heritage associated with the brand. 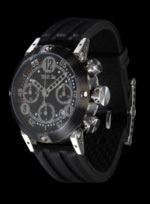 I currently have both a V6 and a V12 watch, and often find it impossible to decide between the two! I’m sure in the future this is a partnership that will only continue to grow. TDS (Top Drive Services) Racing's story is above all one of two passionate young entrepreneurs, Xavier Combet and Jacques Morello, determined to make their team stand out as an example in the highly competitive world of motorsports. 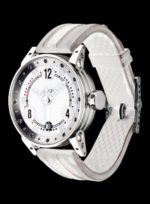 TDS Racing was founded in 2004, and a year later made its debut in the World Series By Renault. From then on, the titles just kept coming. Indeed, TDS Racing finished its first year third in the Europe Mégane Trophy Championship. In six years, the team won six driver titles, and two team titles. That was when the team decided to take up a new challenge, joining the LMP2 class of the Le Mans Series 2011, finishing third that year in the Le Mans Series and first rookie team! In 2012, TDS Racing joined forces with its partner Thiriet Surgelés and together they formed Thiriet by TDS Racing. Straight away, the team cemented its status as leader by winning the Castellet 6 Hours, taking pole position and best lap of the race at the same time. That same year, they won second place twice, once at the Donington 6 Hours, and the other at the fabled Le Mans 24 Hours, in the LMP2 class. In 2013, Thiriet by TDS Racing shone once again, finishing runner-up in the European Le Mans Series, and that same year decided to take part in the Blancpain Endurance Series in a GT, finishing in an encouraging fifth place in the PRO-AM class. 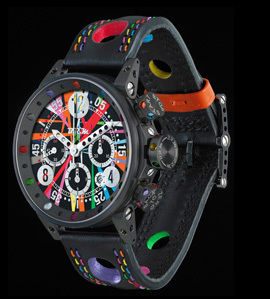 In 2014, TDS Racing took pole position at the Le Mans 24 Hour in the LMP2 class, and finished second in this legendary race. 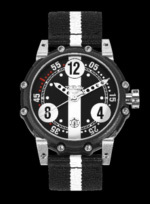 In the Blancpain Endurance Series, the team finished second in the Pro-AM Championship, with two wins in hand. 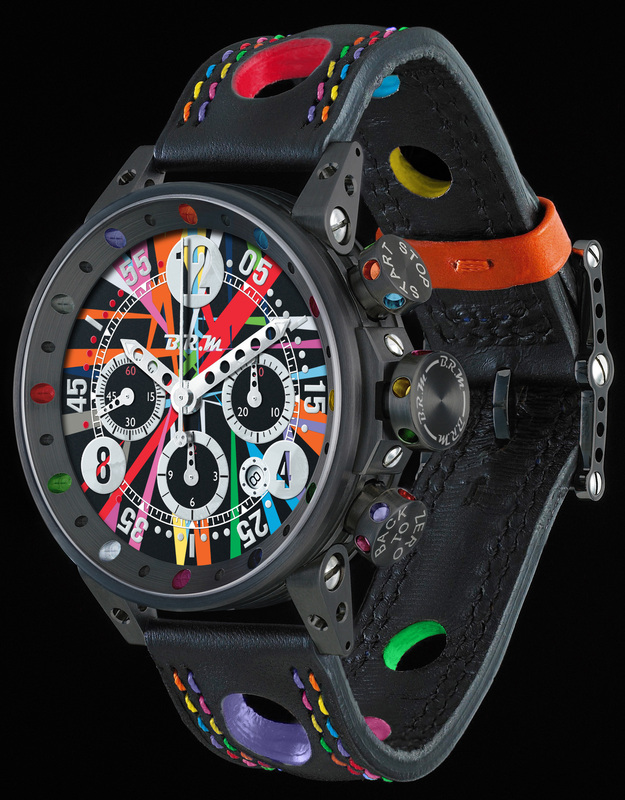 BRM Chronographes is pleased to associate its livery with that of this high-level sports team, which has been marking itself out for the last 10 years with ever-improving results, earning the international reputation it has today. 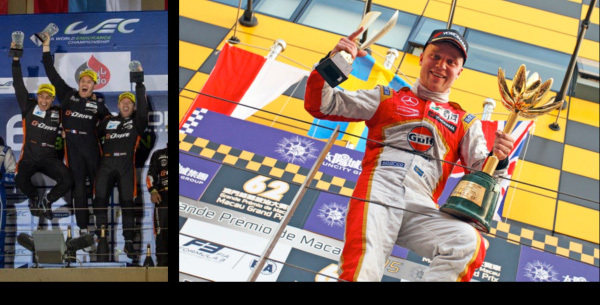 Our congratulations to Julien Canal and his team for their WEC 2015 LMP2 championship title, as well as to Felix Rosenqvist for his second consecutive win at the Macau Formula 3 Grand Prix. A big well done in particular to the team at Porsche Lorient Racing for their championship title in the France FFSA GT 2015 in the Gentleman Challenge! 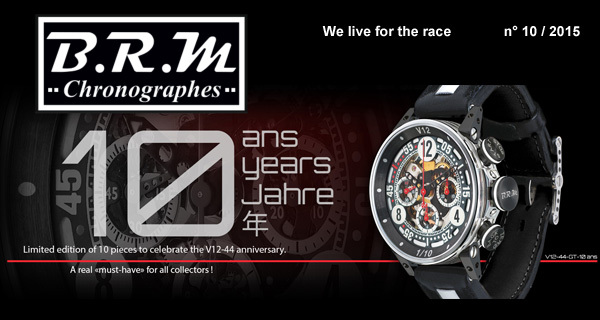 Porsche Lorient Racing has just designed a special watch with BRM Chronographes to celebrate its 15th anniversary. The teams at the various events in 2015 will be delighted to present our collection. They remain at your disposal all year round to cater to your needs. 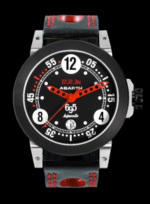 It has been over ten years since our manufacture was established. Thanks to all of you!